Doug Hoyes, BA, CA, CPA, CBV, CIRP, LIT, is the co-founder of Hoyes, Michalos & Associates Inc., one of Canada’s largest personal insolvency firms. In his thirty-year career as a chartered accountant and Licensed Insolvency Trustee, he has personally helped over 10,000 individuals solve their debt problems and rebuild their financial future. He has appeared before the Senate Banking, Trade and Commerce Committee in Ottawa to give testimony on the impact of bankruptcy legislation on the individual, and serves as an OSB (Office of the Superintendent of Bankruptcy) Oral Board Examiner. Doug is a passionate advocate for ensuring that people find the right solutions for their debt problems. 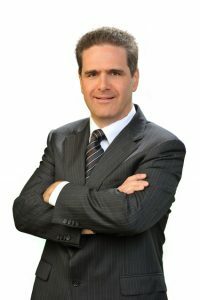 Frequently interviewed in the media, he has shared his knowledge and expertise on the most common financial myths and mistakes on CBC, Global News, The Globe and Mail, the Toronto Star, Business News Network, The Financial Post, and CTV News. He posts regularly to the Hoyes, Michalos blog, to Twitter (@doughoyes), and on Huffington Post Canada. What do all of those initials mean?